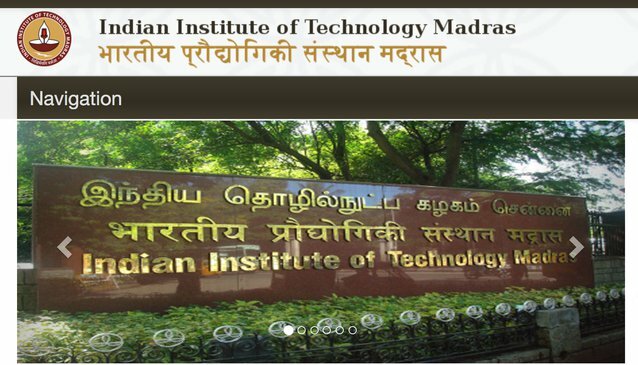 The Indian Institute of Technology (IIT), Madras director Prof Bhaskar Ramamurthi has announced that the Joint Entrance Examination (JEE) 2018 will be conducted online. In a meeting held today on August 20, 2017 at IIT Madras, the decision was taken by the director of JAB (Joint Admission Board) and IIT Madras Prof Ramamurthi. “The apex body for the conduct of JEE (Advanced), at its meeting today, has decided that JEE Advanced will be conducted in online mode from 2018 onwards,” said Prof Ramamurthi is a press release issued today. PaGaLGuY got in touch with the JAB director, who informed that making JEE Advanced examination online would make the examination procedure easier for them. “Online mode of the exam has it’s advantages. We don’t have to print papers, possibility of printing errors is not there. We can publish the results early and students will be able to change their answers easily during the exam, which was a difficulty in OMR model, said Prof Ramamurthi. Although, there is no information regarding the mode of conduct for JEE Mains 2018 as yet. “JAB take care of the JEE Advanced examination, and a decision has only been taken for the Advanced examination,” added Prof Ramamurthi. In JEE Advanced 2017, approx 2.2 lakh candidates took part. “Earlier we did not have the logistics to conduct the examination for over 2 lakh candidates online. From next year onwards we would be capable of conducting it online,” informed Prof Ramamurthi. JEE is the nationwide entrance examination for admission in premiere engineering colleges like IITs and NITs. It is a two part examination consisting of JEE Mains and JEE Advanced, both of which were conducted offline till date.